925 SILVER, AQUAFORTE NECKLACE, RHODIUM PL., FLOWER PENDANT, EMBEDDED ZIRCONIA. This item is selling for $168.99 on eBay. 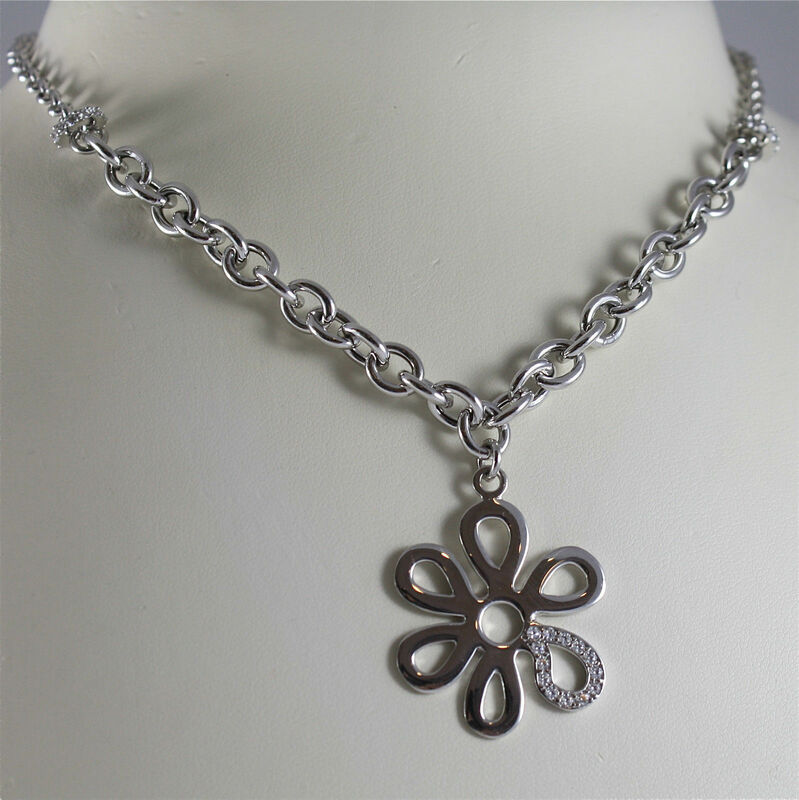 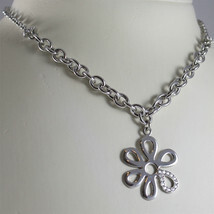 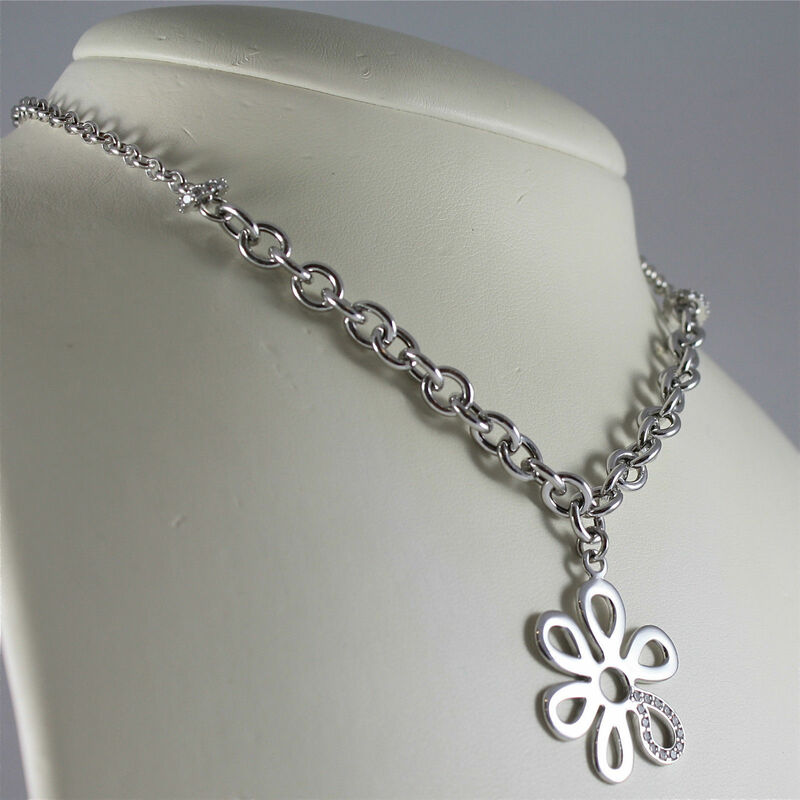 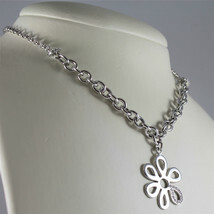 925 RHODIUM SILVER NECKLACE, FLOWER PENDANT WITH CUBIC ZIRCONIA BY AQUAFORTE JEWELS. 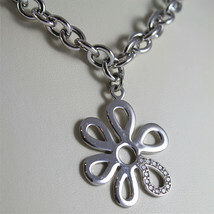 Metal: .925 Sterling Silver, Rhodium treatment.
. 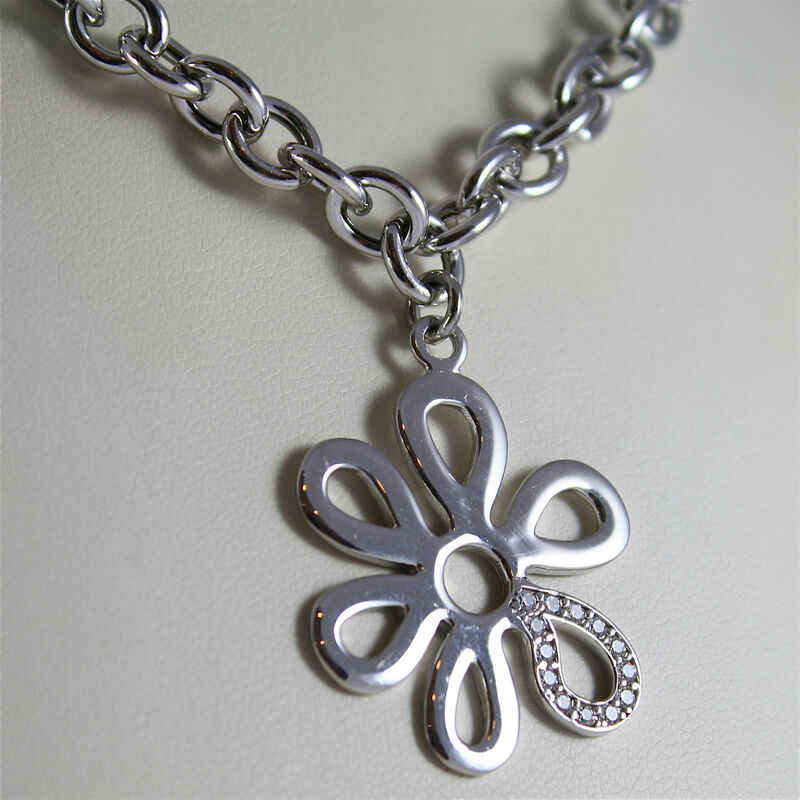 Length: Necklace 42 cm, ( 16,54 in) - Charm 3 cm - (approx 1,18 in).